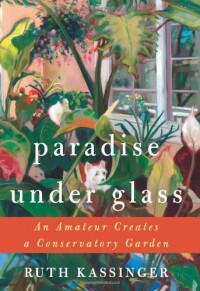 Paradise Under Glass is a memoir about how a women in her forties with no experience creates a prosperous indoor conservatory in her own home after coping with tragedy. After her older sister dies a long painful death from a brain tumor Ruth herself is shortly afterward diagnosed with breast cancer. After a year of chemotherapy and several surgeries she is in remission. With her two oldest girls away at college she finds herself home alone with her husband, their dog, and their youngest daughter who will soon leave home as well. Kassinger lives in Maryland and one night she wonders into the US Botanic Garden's conservatory in D.C. shortly before closing time. She becomes entranced by the beauty and tranquility of the place and although she knows nothing about plants or indoor gardening she decides then and there to build a conservatory in her home. The book follows Ruth's journey as she learns about conservatories and their history, of her early triumphs and the plants that didn't make it, and of her travels into the world of indoor gardening. Along the way she visits famous greenhouses and indoor plant growers, takes a trip to Florida to visit a company that breeds butterflies just for indoor conservatories, and buys a truly extraordinary amount of plants. This book was truly a delight to read. I personally know nothing about conservatories or gardening in general and yet I found the book truly engaging. One thing that Kassinger does really well is incorporating her research about the history and evolution of conservatories alongside her own personal experiences seamlessly. When she talks about buying her first citrus plants she also tells us about medieval orangeries which were the earliest versions of the modern day conservatory. She also talks about plant explorers who would travel through Africa and Asia in search of new plants and the trouble they had shipping their specimens back to Europe. I particularly enjoyed two chapters of hers. The first was when she travels to see a woman in Florida who breeds butterflies for people who have conservatories or butterfly gardens. Kassinger decides to buy catlipillers and hatch her own butterflies. She ends up running into trouble when she finds herself unable to grow milkweed, the only plants monarch butterflies eat. She eventually ends up having to scavenge the weed from the wild just to keep her catipillers happy until they pupate into adult butterflies. I also enjoyed the chapter on ferns and how in Victorian times fern hunting was all the rage. 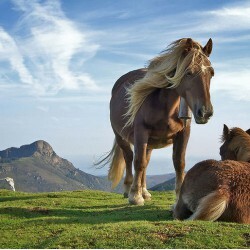 It was especially popular among women. Botany was considered a suitable past time for women and the subject matter was not thought to be so difficult as to incomprehensible to their weaker minds. In fact the study of botany become so popular among women that some began to wonder whether it was even appropriate course of study for men to take in university. I did however have a few qualms with the book. Like I said I know next to nothing about plants. She often times just used the Latin word to name her plants. I had no idea what she was talking about when she did this. Other times she would use their common names or else use their Latin names with the common name in parenthesis or else the English name with the Latin name in parenthesis. I would have preferred for her to just stick to one method when naming plants instead of bouncing all over the place. Another thing that she would do that would pull me out of the book was that she would sometimes italicize words out of nowhere like when using the word neuron or something. She wasn't trying to emphasize anything so there was no reason to italicize. It was very annoying. I would also have liked the book to have been better edited. At one point she goes on for 14 lines just describing objects in this guys house. In another section she puts a whole paragraph in parenthesis. Basically I had some issues with the formatting of the book but not with the content for the most part. So even though I did enjoy this book I have rated it only 3 carrots instead of four because of the issues just discussed. That being said if you like gardening or have an interest in conservatories and their history this book would most likely be something that you would enjoy.